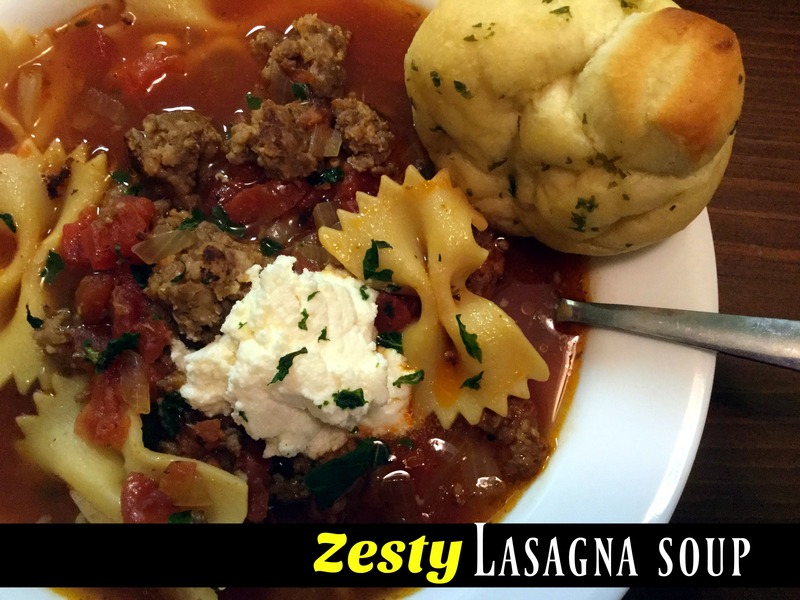 I made a recipe for Lasagna Soup last year and didn’t end up loving it. I had it in the back of my mind that I wanted to try again with a different recipe, and I am so glad I did! This was phenomenal! I love that it is all cooked in 1 pot and I don’t have to boil the noodles separately! Heat a dutch oven or soup pot over medium high heat. Add crumbled sausage and brown. Drain off any excess grease. Add onions, garlic, oregano and crushed red pepper. Cook for 2 to 3 minutes stirring frequently. Add chicken broth, tomato paste, diced tomatoes with juice, and bay leaves. Bring to a boil and reduce heat to a simmer for 15 minutes. Add uncooked pasta and simmer for 15 minutes longer or until pasta is done to your liking. Meanwhile combine ricotta, Parmesan cheese & milk in a bowl and set aside. Season soup with salt to taste. Serve each bowl of soup, topped with a dollop of ricotta cheese mixture and lots of fresh basil. Enjoy! Thank you Brandi for the nice soup recipe.